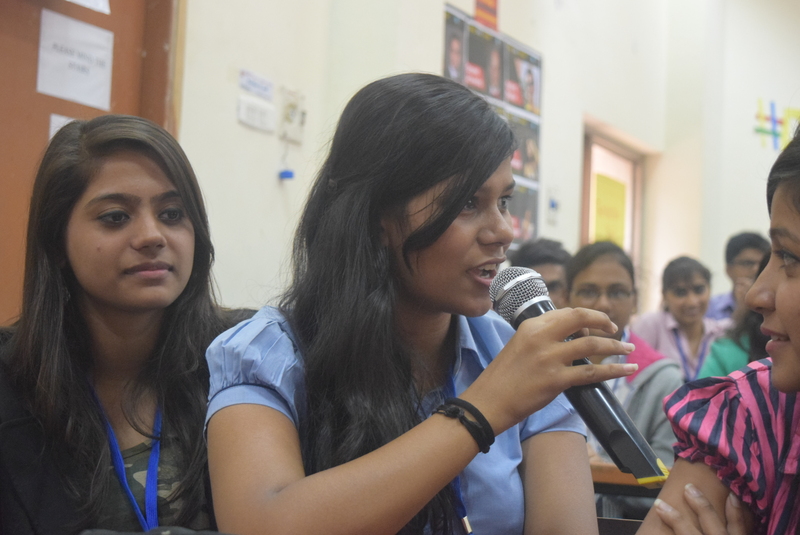 Young India Challenge is known for its #DoWhatYouLove conversation. Next best thing it has is The Challenge. Well, it may sound like any other business plan but in reality it is lot more difficult to design and present the idea in five hours. Human Circle sets the teams free to choose and weave an idea of their own with economic, financial and social feasibility. But that’s not all about challenge. It is not easy to present the plan with all aspects of business and leadership in five minutes, challenge gets tougher when you have this time constraint and Q&A round with Jury and audience. Till now, we have witnessed ideas of all kinds. This time, ideas are popping up on Networking, Culture integration, Talent management and Travelling. It is great to see delegates coming up with innovative plans every time. Reason behind conducting such a challenge is to enhance their leadership skills, entrepreneur skills, management and communication skills. When you are talking about pursuing your passion, some of these soft skills are mandatory to make their own space in their respective industries. Such challenges give insight of real life situations. It covers all ambit from planning, research, strategy, marketing, customer satisfaction, technological support, etc. The idea behind this exercise to make them implement their creativity and guide notes from mentors in the most innovative way. 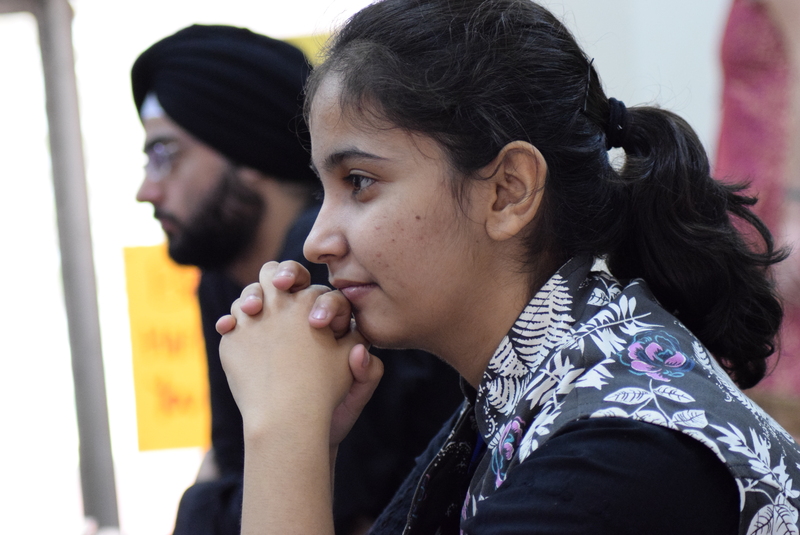 With each Young India Challenge, the level of this challenge has increased setting higher standards and getting enlightened minds in this human circle. 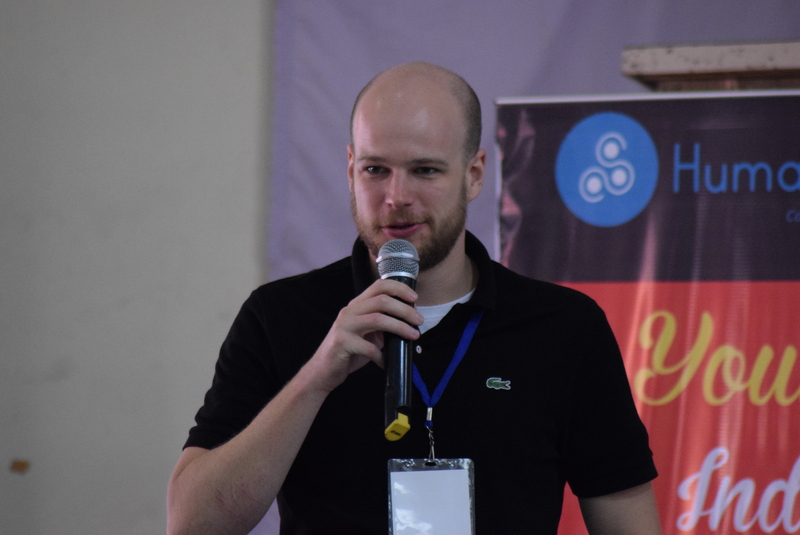 What could be better than having AIESEC UK President, Daniel Vaverka to have in house as a mentor at Young India Challenge. Daniel was born in Czech Republic and had studied in Britain. His active participation in AIESEC has made him travelled around the globe and learn culture. Over the time, he has attended hundreds of conferences and travelled to nearly 45 countries. Daniel has specialised knowledge in business, finance and management. Though he believes that its the common sense and not specialisations which help you do things. He has been working in India since two years with Home Credit and helping customers decide which product to buy in what amount and help them build credibility. Given today people want more in little time, Home Credits help them to use their money effectively and efficiently. His skills in finance, communication, adventure and travelling has given him great exposure and experience. Can you believe that a person can dropout three times? 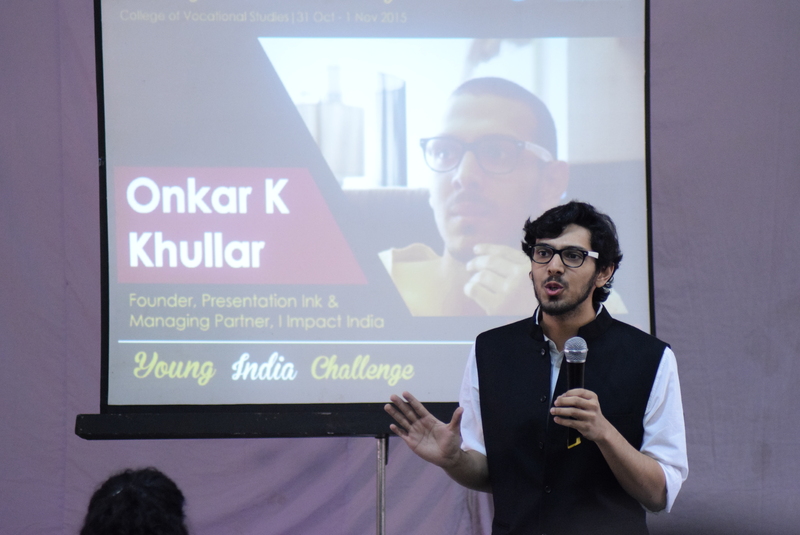 Yes, Onkar Khullar did, to “create” something of his life. Because of his inclination towards social work, he created “I Impact India” which looks after the several social communication issues like branding, marketing, etc. This also serves his interest towards providing business solutions and PR crisis. The man has always been a creator. Even in the “free spaces”, he creates something. At the young age of 24 he has written three books, working on three more and made a painting which has a Limca record. He is a man of experiments. He keeps experimenting with himself and businesses and see how things work out. For instance, he was mute for 72 hours to see how it is like to just visualize and not speak. He keeps on experimenting and that’s the reason that though officially he is just a school graduate, he has made an impact. He has this unique habit of taking notes of everything. It is his extreme observation skills which channelizes him towards what he is looking forward to next. The concept of “Flow” has worked really well in his life. People say it is difficult to keep work in line but Onkar has always believed that all you need is that start and things eventually start falling into place. 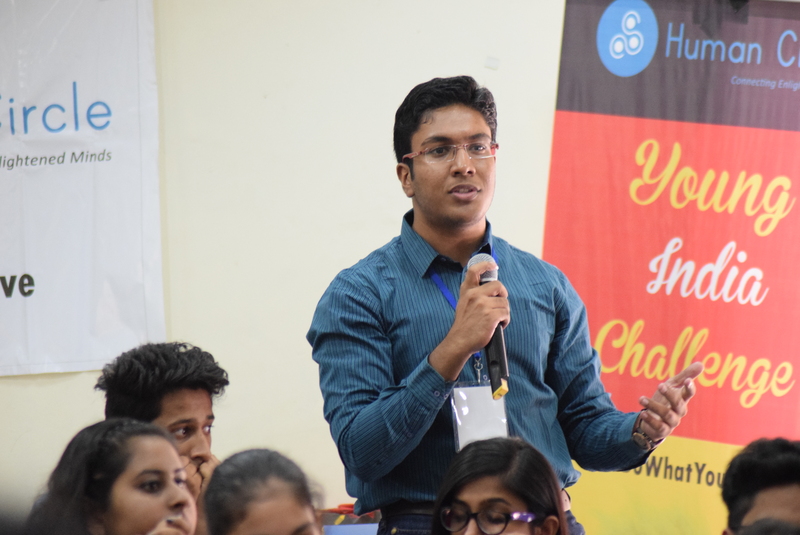 At Young India Challenge, he is a mentor guiding our delegates how to create something using focus and flow. Our delegates were asked what difference did Day 1 of Young India Challenge made in their lives and their response was amusing. Most of them had #DoWhatYouLove conversation with their parents and relatives and they managed to make them realise how important it is to follow your heart. To our surprise, they tried to get the talk and had a thought to resume their passion, at least. This conversation is not of any conventional business and development. We talk about empowering youth by inspiring them to follow their passion and make a living out of it. How can you be successful and content when you’re dull while doing it. “Passion” is just not another word, it sets you high. You are eager, determinant and crazy to get what you want. You lose your sleep and wait for years for it to give the results. While you walk towards your passion, not many will be happy with it, that’s why it is necessary for you to be self motivated. Stick to positivism and have faith. Make a wish, believe it with all your heart and let that happen. That’s what Young India Challenge is all about. It makes you believe that dreams can come true and motivates you to go for it. Stay hungry. Stay foolish. Stay inspired.